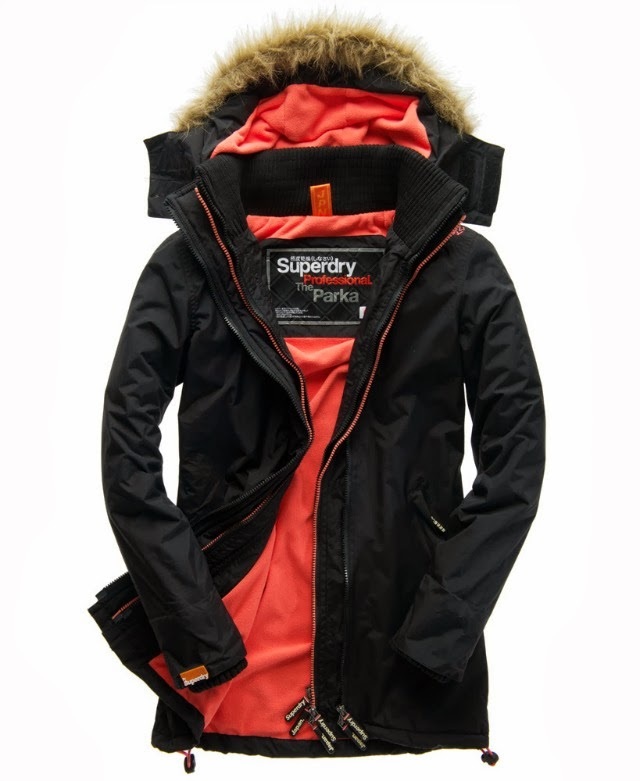 NEW IN: SUPERDRY PARKA IN SHOCKING CORAL. How have you all been? I'm preparing this post in advance while I'm still in Berlin because I don't know how hectic the first week in a new city might be :) My experience told me that there is always so much piling up you barely have time for anything in the beginning! I had a big shopping spree with my mom the Friday before I left Berlin. 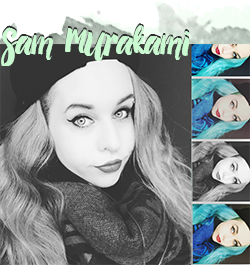 We were walking around the center of Berlin, eating at our favorite sushi place and visiting the beloved MAC store to check up on the limited editions <3 The autumn in Berlin is beautiful, but really really cold. I came to the conclusion that I don't really have a jacket that goes from autumn to winter... I have a lot of late summer coats and winter coats but nothing in between. So.. my friend Pachi has this great coat. 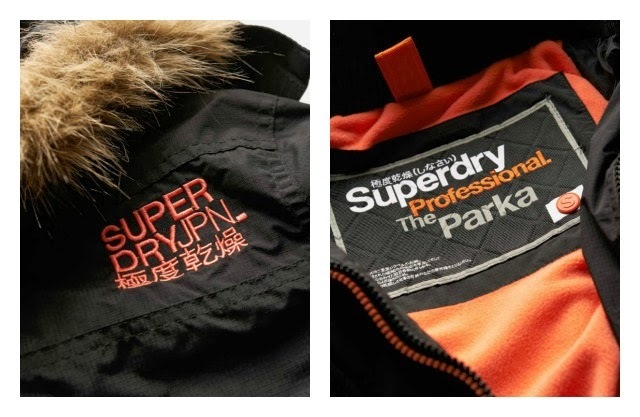 From Superdry. A parka, actually. 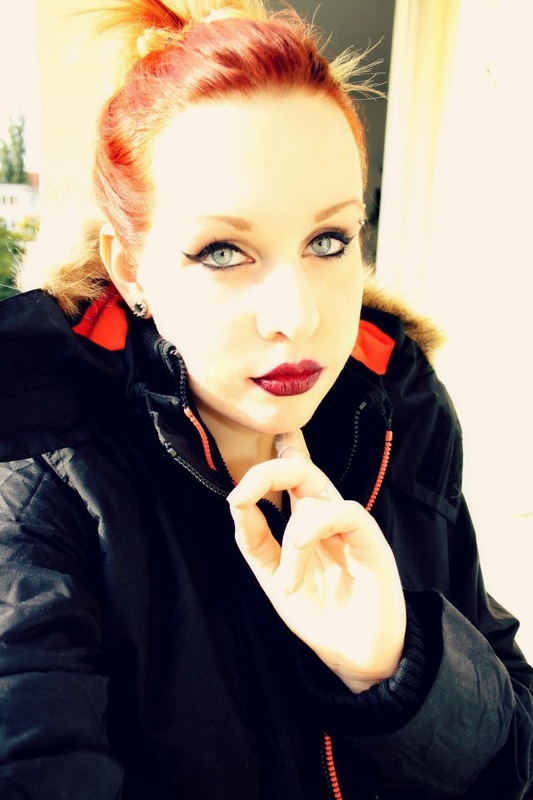 A black parka with awesome shocking orange-coral color as accents... I loved that coat as soon as I laid eyes on it. Soooo I dragged my mom to Superdry in Berlin ("just to have a little look! "), shove her right in front of the jacket just to see that there is only one left. In L. Size L is the best option for me since I am quite tall (M is almost always too short for my liking) and due to the fact that I need to squeeze a thick sweater underneath. Luckily, my mom is as in love as I am and we decide, broke girls as we are, that we split the price between us which seemed more than fair to me! :) So meet my new jacket! Hope you're all able to enjoy the autumn weather at your place!